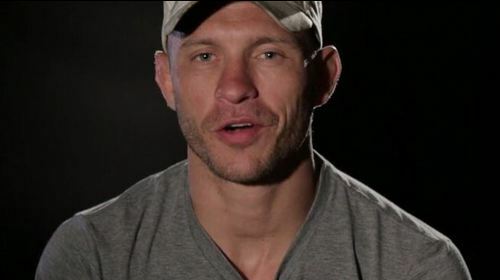 Peer into the mentality of UFC fighters before they enter the Octagon. 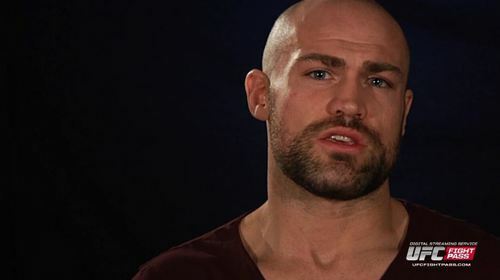 MMA Mindset: The Fighting Irish Jan 16, 2015 (2:41) Conor McGregor, Cathal Pendred and others discuss what it means to represent Ireland on such a big stage and what they expect from the crowd in Boston. 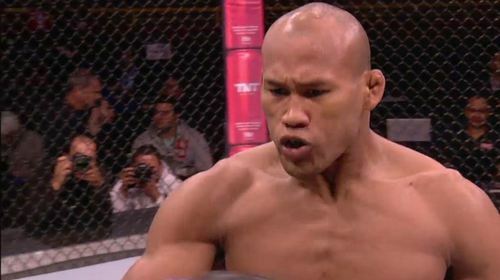 MMA Mindset: Medal Mentality Jan 2, 2015 (2:15) UFC 182 headliner Daniel Cormier and welterweight Hector Lombard reflect on what it was like to be an Olympic athlete representing their country, and how that prepared them to step into the Octagon. MMA Mindset: Dustin Poirier Moving Up Apr 2, 2015 (1:49) Lightweight Dustin Poirier discusses his move up from featherweight and how he thinks the change in weight class will help him in his fight against Diego Ferreira in this MMA Mindset. MMA Mindset: Jan Blachowicz Apr 9, 2015 (1:41) UFC light heavyweight and Poland fighter Jan Blachowicz talks about the historic first trip to Poland for the UFC. Blachowicz is taking on Jimi Manuwa in the co-main event of Fight Night Krakow. 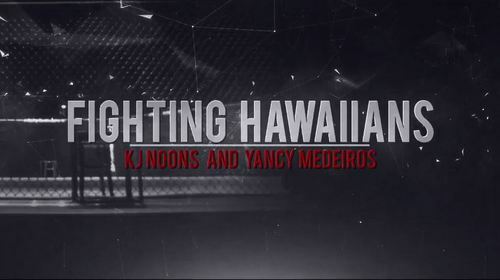 MMA Mindset: Fighting Hawaiians Dec 11, 2014 (2:08) KJ Noons and Yancy Medeiros discuss the fighting culture Hawaiians come from and what makes them so dangerous inside the Octagon. 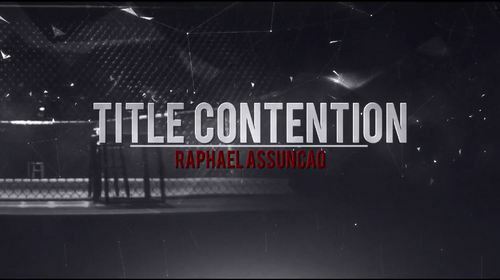 MMA Mindset: Title Contention Oct 2, 2014 (1:13) UFC bantamweight contender Raphael Assuncao discusses his position in the division and when he might be due for a title shot. 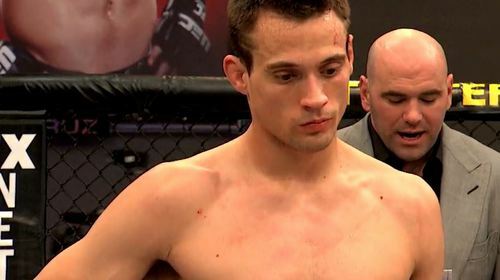 MMA Mindset: Superstitions Feb 13, 2015 (2:24) The stars of UFC Fight Night: Henderson vs. Thatch share what superstitions they have and the results that have coincided. 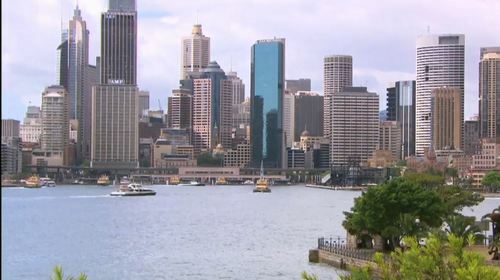 MMA Mindset: Rematches Sep 4, 2014 (1:55) In preparation for their rematch at UFC Fight Night: Jacare vs. Mousasi, we get inside the mind of Ronaldo "Jacare" Souza and Gegard Mousasi to find out how much their first fight plays into their training. 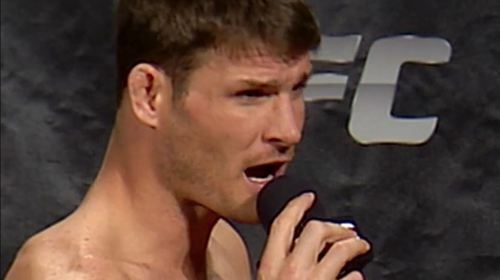 MMA Mindset: Michael Bisping Aug 22, 2014 (2:52) UFC middleweight Michael Bisping discusses the art of trash-talk and the verbal warfare that takes place before a big fight. 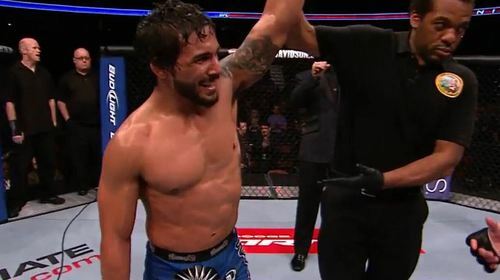 MMA Mindset: Memorable Performances Jul 25, 2014 (3:15) UFC featherweights Clay Guida and Dennis Bermudez discuss what goes into making a memorable performance and that their fight this Saturday at UFC Fight Night: Lawler vs. Brown has all the makings to be one of those memorable performances. 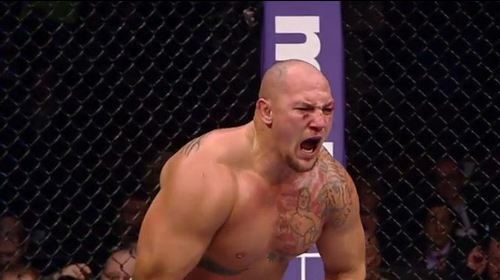 MMA Mindset: Te Huna Bringing Home the UFC Jun 26, 2014 (1:39) After being born and raised in New Zealand, middleweight James Te Huna talks about the feelings, emotions, and pressures of headlining the first card in his home country. 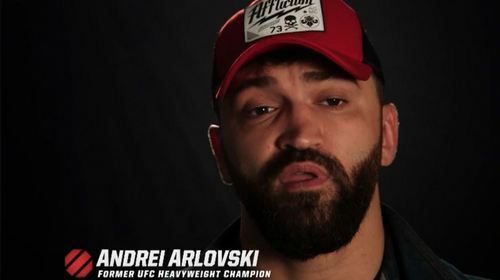 MMA Mindset: Andrei Arlovski Jun 13, 2014 (2:49) Six years since his previous fight in the UFC, Andrei Arlovski details what it means to him to return to the Octagon and the challenge he faces when he takes on Brendan Schaub at UFC 174. MMA Mindset: Seizing An Opportunity May 22, 2014 (2:57) Ahead of their upcoming bout at UFC 173, Jamie Varner and James Krause discuss the dramatic details on how they seized an opportunity in their career and how that has impacted their future. 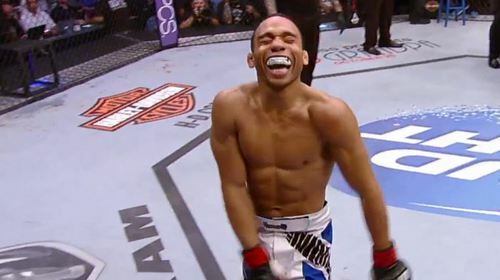 MMA Mindset: Exciting Fights Cerrone vs. Barboza Apr 18, 2014 (1:55) Proud owners of several fight night honors, Donald "Cowboy" Cerrone and Edson Barboza, talk mental toughness and what it takes to make an exciting fight in the Octagon. 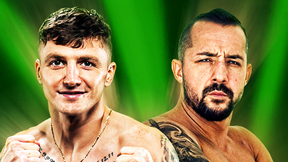 MMA Mindset: Team Spirit Jun 5, 2014 (1:50) With 4 fighters on the card for UFC Fight Night: Henderson vs. Khabilov in Alburquerque, Team Jackson/Winkeljohn talks about what it's like to fight in their hometown and be surrounded by friends and family. MMA Mindset: Power Mar 13, 2014 (1:43) UFC 171 welterweights Johny Hendricks and Robbie Lawler talk about knockout power and what it's like to turn the lights out on another fighter. MMA Mindset: Johnson vs Guillard Mar 5, 2014 (2:59) Michael Johnson and Melvin Guillard talk candidly about what it's like to fight a teammate and the strategy that comes into play when you know a fighter so well. 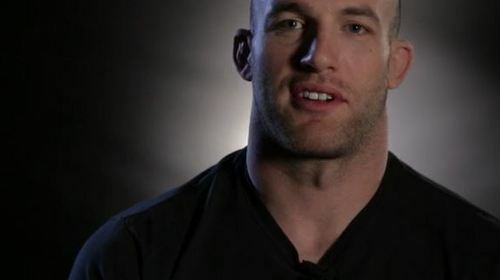 MMA Mindset: Shawn Jordan Feb 26, 2014 (1:34) UFC heavyweight Shawn Jordan talks about the transition from football to MMA and the difference between competing as a team, to fighting as an individual. MMA Mindset: Cormier and Cummins Feb 19, 2014 (2:17) Daniel Cormier and Patrick Cummins discuss their mentality heading in to the last minute match up to take place at UFC 170 in Las Vegas. 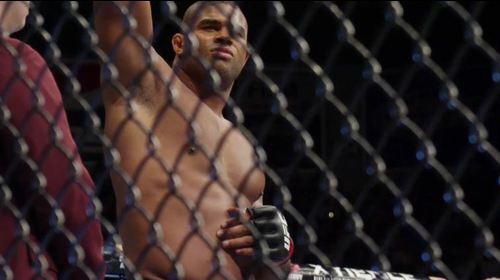 MMA Mindset: Mir vs. Overeem Jan 30, 2014 (2:07) Heavy hitters Frank Mir and Alistair Overeem collide at UFC 169. Find out what's on their mind before the fight. 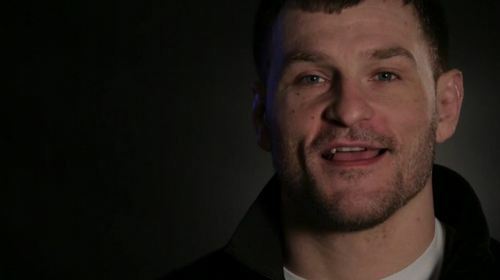 EVENT ACCESS MMA Mindset: Stipe vs. Gonzaga Jan 23, 2014 (1:09) Heavyweight heavy-hitters Stipe Miocic and Gabriel Gonzaga talk about what it's like to be in the Octagon with the worlds most powerful punchers. 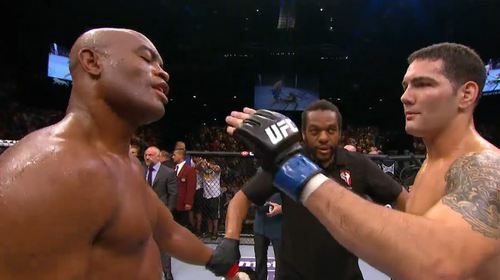 MMA Mindset: Weidman vs Silva Dec 29, 2013 (1:30) Chris Weidman, UFC Middleweight Champion, looks to defend his title from the man who held it for so long, Anderson 'The Spider' Silver, the greatest fighter of all time. 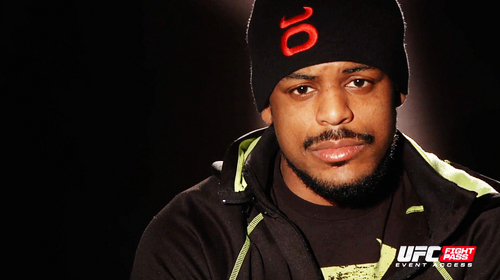 Find out what the opponents are thinking before they step in the Octagon for the second time. MMA Mindset: Rousey vs. Tate Dec 29, 2013 (1:37) Get into the mind of Ronda Rousey and Miesha Tate just before their long awaited rematch at UFC 168.